Has she fallen in love with her husband’s killer? Coziness, suspense and a dash of romance. The other books in my Cobble Cove series include Between a Rock and a Hard Place, Written in Stone and Love on the Rocks. I’ve also published a romantic comedy novella, When Jack Trumps Ace, and a standalone mystery, Reason to Die. 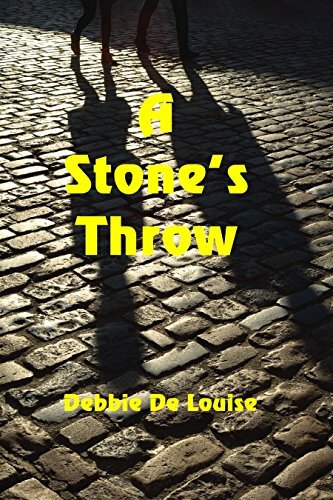 A Stone’s Throw is an engaging mystery and I was hooked from page one. At first, the ease and flow of the writing and the well-rounded characters kept my interest. Soon, the suspense took over and drew me in completely. Alicia Fairmont arrives in Cobble Cove to get some answers about her late husband’s past. She uncovers some unexpected secrets and soon has more questions than answers. Alicia’s own safety is compromised and the twists and turns keep coming. The author beautifully blends coziness, suspense and a dash of romance in this stellar debut novel of the Cobble Cove Mystery series. I truly enjoyed this mystery. 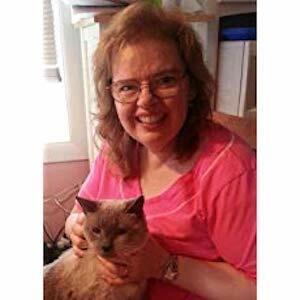 I am looking forward to reading the next book by Debbie De Louise!